After a workplace injury, can I be forced to take PTO for related doctor visits and physical therapy? The answer to this question depends on many factors, including company policies and, if you're in a union, what's spelled out in the union contract. Employees hurt in the workplace—or while performing duties within the course and scope of employment—may be entitled to a range of workers' compensation benefits. For employees out of work for seven or more days due to their injuries, these benefits can include temporary total disability payments of two-thirds their weekly wage. This is up to a maximum of $575 each week. Individuals receiving these benefits receive workers' compensation for their time, including whatever is necessary for related doctor visits and physical therapy. Georgia workers approved for light duty may receive temporary partial disability payments through workers' compensation to make up for lower wages. People receiving these benefits are often still recovering from their injuries, necessitating periodic doctors' appointments and physical therapy visits. In such cases, this time away from work is often covered by workers' compensation. However, employees with work restrictions who can return to work full time are often at the mercy of company policies regarding medical appointments and time off. 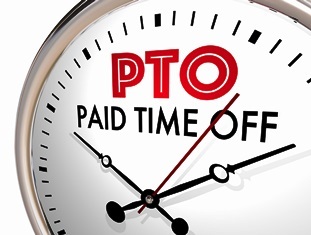 As a result, employees may be forced to use PTO for workplace injury-related appointments or take the time unpaid. and physical therapy appointments, or take time off without being paid. If you're part of a union but not familiar with the particular contract guidelines regarding workers' comp and medical appointments, your union steward should be able to answer any questions. If you were injured in a Georgia workplace accident, you may be entitled to workers' compensation benefits. The skilled attorneys with Rechtman & Spevak can help you understand your legal rights and options, and ensure you receive the proper benefits. Do you have questions about your workers' compensation case? Contact us today to arrange an appointment for a free initial consultation. How much does it cost to hire an accident attorney in Atlanta? People injured in car accidents, truck crashes, motorcycle wrecks, and other personal injury accidents caused by someone else's negligence can often file an insurance claim or lawsuit to seek compensation for related injuries and losses. However, many accident victims worry they won't be able to afford an attorney to help guide them through the personal injury litigation process. Fortunately, when it comes to personal injury law, not having a thick pocketbook doesn't have to translate to a denial of justice. Many personal injury attorneys work on contingency. This means their fees depend on how much they're able to recover for the client. Under a contingency fee arrangement, rather than having clients pay fees for legal services up front, the attorneys instead receive a percentage of the clients' settlement or financial award. This percentage varies, but in Georgia, it's often one-third of an accident victim's recovery—potentially more if the case goes to trial. 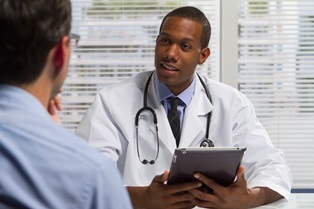 Some personal injury victims may be hesitant to part with one-third of their settlements. However, numerous studies show that victims represented by attorneys receive significantly larger settlements than those who choose to handle their personal injury claims without legal representation. Personal injury attorneys can help people seek compensation for a wide range of financial issues, including medical expenses, property damage, lost wages, loss of earning potential, pain and suffering, mental anguish, scarring or disfigurement, and loss of enjoyment of life. If you were hurt in a personal injury accident that wasn't your fault, the seasoned attorneys with Rechtman & Spevak can answer your questions, and help you understand your legal rights and options. Contact us today to schedule an appointment for a no-cost, no-obligation initial consultation to discuss your case and learn more about our firm, how we handle cases, and our contingency fee agreement. Can I get out of my workers’ compensation settlement after I sign the papers? This is one of the most common questions workers' compensation attorneys receive. While there are many reasons why injured workers might want to revoke or get out of a settlement agreement after signing the papers, not only is that easier said than done, but it's only possible in a few specific circumstances. Knowledge of the settlement process is vital to understanding just why revoking a workers' compensation agreement can be so difficult. Once the involved parties agree to a settlement, they sign a stipulated settlement agreement, which is then sent to the State Board of Workers' Compensation (SBWC) for approval. After the board approves the agreement, the settlement is final, parties are locked in, and the case can't be reopened—not even if the claimant's injuries were worse than initially realized. 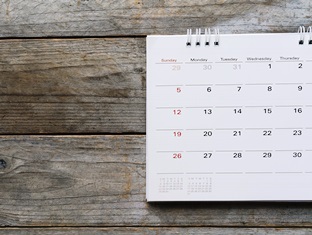 However, there's a short window of time—after the stipulation settlement agreement is signed and before it's approved by the SBWC—during which it may be possible to back out of a workers' compensation settlement agreement. For example, an insurance company may withdraw from a settlement if the claimant died before the board approved an agreement. 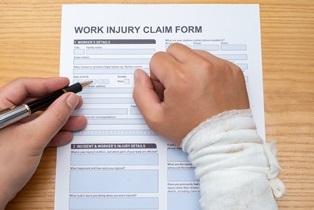 Likewise, a claimant could potentially get out of a workers' compensation settlement agreement during this same brief window if the doctor treating his or her workplace injuries determines the need for different or additional treatment. If you were injured in the workplace, you might be counting on a workers' compensation settlement to help you get back on your feet and back to the job. The experienced attorneys with Rechtman & Spevak can investigate your Georgia workers' compensation claim, and guide you through each step of the settlement process. They can even help you determine the best time to settle, so there are no nasty surprises or a reason to get out of an agreement. Were you hurt on the job in Georgia? Contact us today to schedule an appointment for a free initial consultation. Victims of accidents caused by another person or entity's negligence may be left with severe injuries, costly property damages, insurmountable medical debt, and other losses. So it's no wonder that “How long will my case take?” is one of the first questions most people ask when consulting a personal injury attorney. Unfortunately, there's not a simple answer to this question, as various factors influence case length, and can be as different as the cases themselves. How quickly a case concludes is also affected by whether the injured party chooses to settle the case out of court or take it all the way to trial. Most personal injury plaintiffs opt to settle out of court, which allows for a faster financial recovery. It's essential for personal injury plaintiffs to wait until they've reached MMI before accepting a settlement offer. This means their condition and prognosis are understood, and the injuries have healed as much as they're expected to, according to medical experts. Settlements are final, and victims who settle before reaching MMI may miss out on receiving a financial recovery that fully covers ongoing accident-related medical issues. Settling may allow plaintiffs to resolve their cases more quickly. But sometimes, going to trial may be necessary in order to secure a fair award for damages. 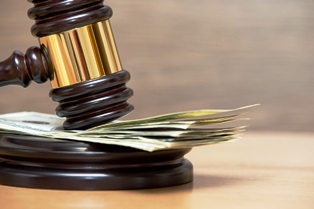 Personal injury plaintiffs often receive more money in cases determined by judges and juries than what's traditionally offered in out-of-court settlements. Negligence-related incidents can deal harsh physical and financial blows to people. If you were hurt in an accident that wasn't your fault, you might be entitled to extensive damages and, as a result, be bombarded with short settlement offers. Don't accept less than you deserve. The savvy personal injury attorneys with Rechtman & Spevak can help you understand your rights and options, and determine whether accepting the settlement offers you receive are in your best interest. Contact us today to request an appointment for a free case consultation. Can I file a wrongful death claim if my loved one died in a train accident? Possibly. Train accidents can be catastrophic and sadly, they happen far more often than most people realize. 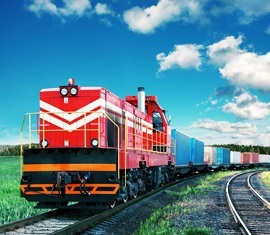 According to the Federal Railroad Administration (FRA), approximately 10,000 train-related accidents or serious incidents are reported to the Department of Transportation (DOT) each year. These include mechanical malfunctions, derailments, and collisions. These reported incidents result in thousands of injuries and roughly 700 deaths each year—some right here in Georgia. If you lost a loved one in a train crash caused by another person or company's negligence, you might have grounds to file a wrongful death claim that allows you to seek compensation for losses related to their death. However, Georgia law limits the ability to file a wrongful death claim to select individuals, such as the victim's surviving spouse, children, parents, or personal representative. The surviving spouse has the first option to file a wrongful death claim, and must also represent the interests of any minor children of the couple. Additionally, in most cases, a wrongful death lawsuit must be filed within two years of your loved one's death; otherwise, you risk forfeiting your right to pursue a legal remedy. Wrongful death claimants in Georgia can bring two different types of suits: one to attempt to establish the full value of the victim's life, and another to compensate for financial losses related to their death. No amount of compensation can replace a lost loved one, but a wrongful death settlement or financial award can help families gain closure and heal financially after an unexpected loss. If your loved one died in a negligence-related train accident, the knowledgeable attorneys with Rechtman & Spevak can help you investigate your rights to compensation. Contact us today to schedule an appointment for a free initial case consultation. Can my workers' compensation claim be denied if I lied about my medical history on a job application? It's possible. Eager to be hired, some job hunters may gloss over previous injuries in their medical histories or overstate their physical abilities on applications. While these deceptive tactics may help applicants get a wanted job, should they suffer a workplace injury, this misrepresentation of their medical conditions can jeopardize any future chances to collect workers' compensation benefits. What Does Georgia Law Say About Lying? Georgia workers' compensation laws allow employers to deny injury claims based on certain types of employee misconduct. This includes instances in which employees lie about their medical histories and then later suffer new injuries related to undisclosed or misstated conditions. Known as the “Rycroft defense,” it's designed to protect employers from undeserved liability for employee injuries. However, some employers may attempt to use this defense unjustly, resulting in the denial of valid workers' compensation claims. There's a lot at stake after an on-the-job injury. A skilled workers' compensation attorney can help injured employees understand their legal rights and options, help them avoid mistakes that could cause their claims to be denied, and ensure they're treated fairly by employers and their insurance companies. If you were injured on the job, only to have your employer claim your injury was related to a misrepresentation in your application, the knowledgeable attorneys with Rechtman & Spevak can help you build a strong case and fight for the workers' compensation benefits you need and deserve. 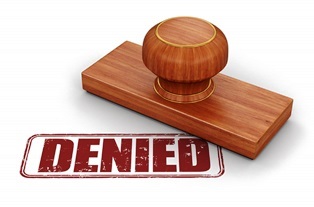 Do you have questions about a denied workers' compensation claim? Contact us today to schedule an appointment for a free initial consultation. What is subrogation and how could it affect my workers' comp claim? The short answer: subrogation is a process used by insurance companies to get back money paid on insurance claims. They're allowed to do this in some cases, but only after you've received full compensation for your workers' compensation injuries. Here's what you should know. If you were injured in an on-the-job construction accident, depending on the circumstances of the incident, you may have multiple avenues for compensation. For example, if you were hurt in a work-related car accident, caused by a negligent third-party subcontractor making a delivery, you may have grounds for a workers' compensation claim against your employer, as well as a personal injury lawsuit against the liable third party. Workers' compensation benefits include reasonably-related medical expenses, temporary total disability benefits, and permanent partial disability benefits, while personal injury lawsuits allow you to pursue a broader range of additional compensation, including your actual lost wages, pain and suffering, mental anguish, scarring or disfigurement, and more. While there are numerous advantages to filing a personal injury lawsuit against a negligent third party, your employer's workers' compensation insurer may attempt recoup the money it paid to you in benefits using subrogation. However, in Georgia, before an employer or its insurer can recover money on a subrogation claim, they must show that you were fully compensated for all your accident-related economic and non-economic losses. For injured workers whose financial recoveries are limited by a negligent third party's inadequate insurance policy limits, employers and their insurers are often unable to meet their burden of proof. When that happens, the employer/insurer is not entitled to any recovery on their subrogation claim. A skilled Georgia personal injury attorney with workers' compensation case experience can help ensure you receive all the compensation you're owed for your workplace injury. If you were injured on the job by a third party and received compensation through workers' compensation and have a personal injury claim, you may subject to subrogation. The seasoned attorneys with Rechtman & Spevak can review your case to determine if you were truly made whole, and fight for your right to retain the compensation you deserve. Contact us today to schedule an appointment for a free initial consultation to discuss the details of your case. Do I need a personal injury attorney to handle my truck accident claim? While it's technically possible to handle your own truck accident insurance claim or personal injury lawsuit, doing so would put you at a serious disadvantage. Commercial trucking companies and their drivers are often represented by a team of corporate lawyers whose primary job is to protect their clients' bottom lines by helping them avoid liability for accidents and injuries. If you choose to handle your truck accident case by yourself, you risk being outmatched by savvy lawyers with years of experience. After a truck accident, you may be seriously injured, temporarily out of work, and unable to keep up with mounting accident-related medical debt. Or even worse, if you lost a loved one in a tragic truck crash, you may be trying to manage your grief and navigate the complex wrongful death claims process at the same time. Either way, with so much at stake, it's no time to go it alone. What Can A Truck Injury Lawyer Do For You? Level the playing field. Having an attorney discourages insurance corporations and fleet companies from attempting to push you around. With an attorney by your side, this communicates to the other parties you're taking the claim seriously—and so should they. Conduct a thorough investigation. Your attorney can gather evidence, interview witnesses, hire expert witnesses, and preserve and request evidence from the other party's defense team. Fight claims of shared liability. Insurance companies may claim you were partially responsible for the accident in order to reduce their financial responsibilities. An attorney can fight these defenses to prevent them from harming your ability to collect compensation for damages. Negotiate a fair settlement. Insurance companies and their lawyers often offer unfair, low-ball settlements to truck accident victims without legal counsel. 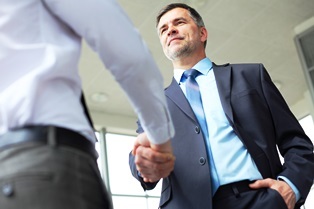 An attorney can help you negotiate a settlement that meets your needs. Take your case to court, if necessary. In the event that a fair settlement can't be reached, an experienced personal injury attorney can take your case all the way to trial. If you were seriously hurt or lost a loved one in a Georgia truck accident caused by another person or entity's negligence, the seasoned attorneys with Rechtman & Spevak can help you investigate your rights and options for compensation. Contact us today to request an appointment for a complimentary initial case consultation.